What keeps other fire glass companies up at night? It's not easy to reach #1 (especially five years in a row). But we are just getting warmed up. TGP's relentless commitment to excellence means you can continue to build confidently with our trusted products and support. And the competition, well, they can expect more sleepless nights. So why risk second best? Choose the industry’s most preferred fire-rated glazing. TGP’s innovative fire-rated glass is a clear favorite, and our full-lite fire doors and frames open up new design possibilities. TGP has been the #1 specified fire-rated glass manufacturer since 2014. However, it's not the title that's important, but rather, it's the confirmation that we are doing right by our customers. After all, if more architects, glaziers and specifiers trust us, shouldn't you? The perfect blend of artistry and technology goes into all of our products. TGP remains at the forefront of innovation, craftsmanship and design; continually introducing groundbreaking products that have been proven to perform time after time. We're #1 because we put you #1. TGP has a full-time, dedicated team providing unmatched customer service. These committed glass & framing experts are honest, trustworthy and respectful of your valuable time. At TGP, the first thing we build is your trust. Let's talk more about how we can help you confidently take on your next project. Want to learn more about TGP's products? Visit our Product Comparison tool. Contact one of our knowledgeable in-house experts. 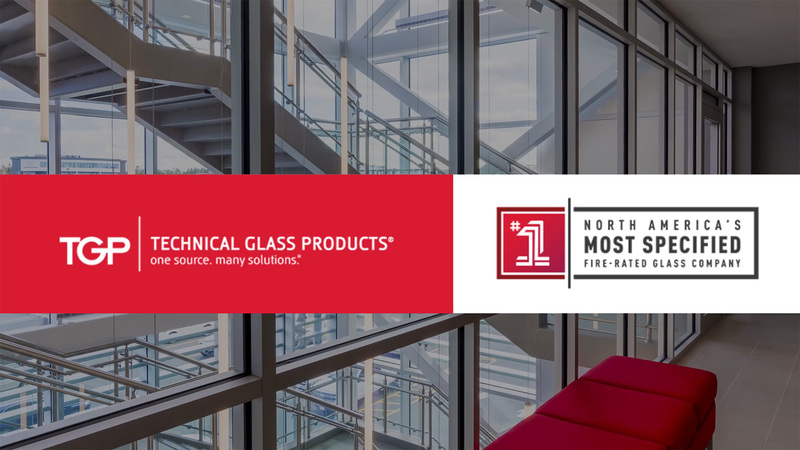 #1 specified fire-rated glass manufacturer in North America among architectural specifiers as reported by a national research firm, 2014-2018. Copyright © 2018 Technical Glass Products. All rights reserved.